At ClockTower Cars, we’re passionate about providing high-quality minicab services to the people of Kingswood. We work exclusively with drivers that we know will never fail to deliver an outstanding and personable service to whoever books with us. Kingswood is a large village situated in the borough of Reigate and Banstead in Surrey. The village’s location means that it is situated on the London commuter belt meaning that many of our clients use our services to get them into the city and around its surrounding areas, including train stations and airports. No matter your needs, we offer rates that are competitive with other local taxi firms with a number of additional extras that go alongside it. 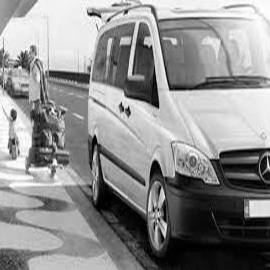 Every one of our top spec fleet of cars is modern, comfortable and has ample room for you and your luggage or fellow passengers. We offer cars that can transport up to 8 people at a time which makes us a great choice for party or event hire. When people book a car hire service, they look for one that they believe they can rely on and feel safe with. With a ClockTower car, you can sit back, relax and enjoy your journey in the knowledge that all of our cars are fully licensed and comply with standards set by the local authority. The drivers that we use are all fully trained to DVSA standard and in Disability Awareness and all have up to date knowledge of the area and its surroundings. 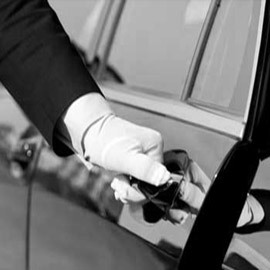 For clients that are looking for a professional service for themselves or their own clients, we also offer chauffeuring services and meet and greet services. We know the importance of maintaining healthy relationships with clients, and therefore our drivers are immaculately presented in both appearance and manner and will be happy to assist you and your guests with things such as luggage and working closely with schedules to make sure you're never late for an important meeting or appointment. We are available 24/7, and a member of our team is always happy to assist you with your queries or concerns whether you book with us through telephone, online or via our free app. 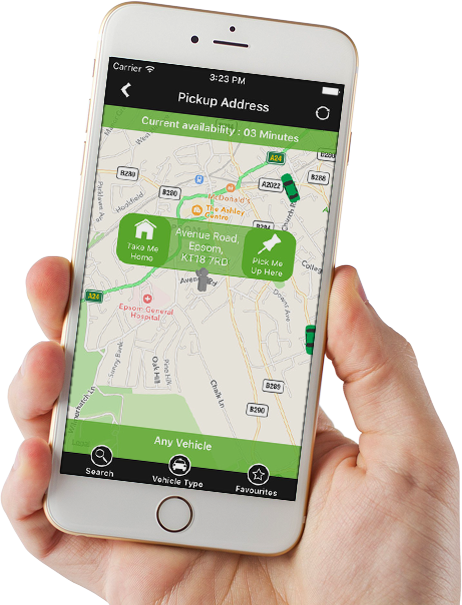 Our booking process allows you to choose the vehicle you wish to transport you, pay securely online and our up to date GPS system in all of our vehicles lets you track your driver as makes his way to you. Call us on 01737 333 7000 or book online by clicking here. I can’t thank ClockTower cars enough for helping my elderly grandmother get to and from the hospital when I wasn't available. I was over the moon with the service, and I'll definitely be using them again if I need to. I was a bit worried about travelling from the airport along on unfamiliar public transport, but my driver at ClockTower made me feel safe and less anxious. For a company that promotes an affordable service I was unsure about the quality of service I would receive but now that I’ve used ClockTower I know I wasn’t disappointed. Bravo to ClockTower cars for providing a high-class service for my clients who need to travel to and from the train station.